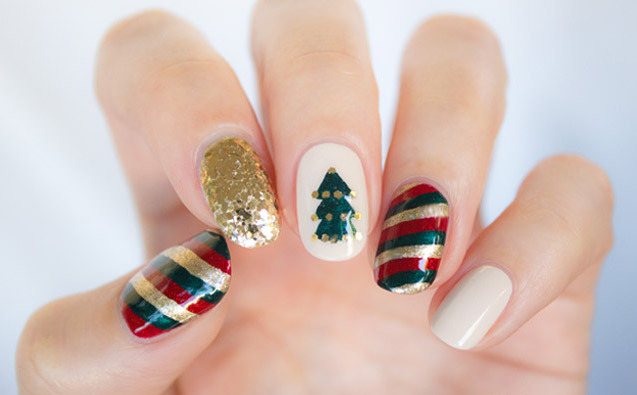 With only 10 days left until Christmas, these holiday nails are sure to bring a little joy to your world. Most of the designs featured include tutorials, however, if you're not a master nail artist like myself, give Tiffany Nguyen Stylist a call. She does all my festive designs for the holidays. If red and green aren't really your thing, you can always change up the color palette to suit your taste.